Downtown San Angelo Inc. is made possible by the creativity and direction of our board members. The board is comprised of business owners, restaurateurs, developers, and local citizens of the city of San Angelo. The insights of our board members continue to help preserve the historical integrity and the revitalization of Downtown San Angelo. Mr. Velasquez is currently the Executive Director of Downtown San Angelo, Inc. a position he previously held between 2006 through 2009. Prior to returning to Downtown San Angelo, Inc. he was the Marketing Director of the San Angelo Standard-Times from 2010 to 2012. Del returned to San Angelo in 2007 after a distinguished career that began in 1975 when he joined AT&T in their Junior Executive Training program, a fast track program that provided him the opportunity to work and develop the skills and knowledge of every key department within AT&T. Del spent 6 years working as an Aide in Scheduling and Advance for President George Herbert Walker Bush during his time as the 43rd Vice President and 41st President of the United States. 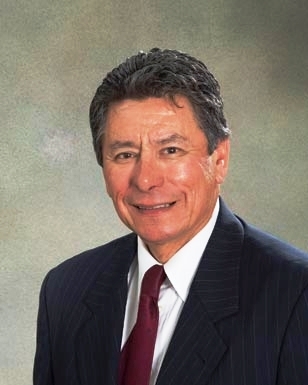 Mr. Velasquez retired from Verizon, Inc. as Vice President of Federal Government Affairs in Washington D.C. After a long career in the telecommunication industry which also include Southwestern Bell Telephone Company, G.T.E. and Puerto Rico Telephone Company. Del worked in a variety of areas that included Government Affairs, Public Affairs, Marketing, the AT&T Foundation, and Operations, and Sales. Del grew up in San Angelo and graduated from San Angelo Central High and Angelo State University.